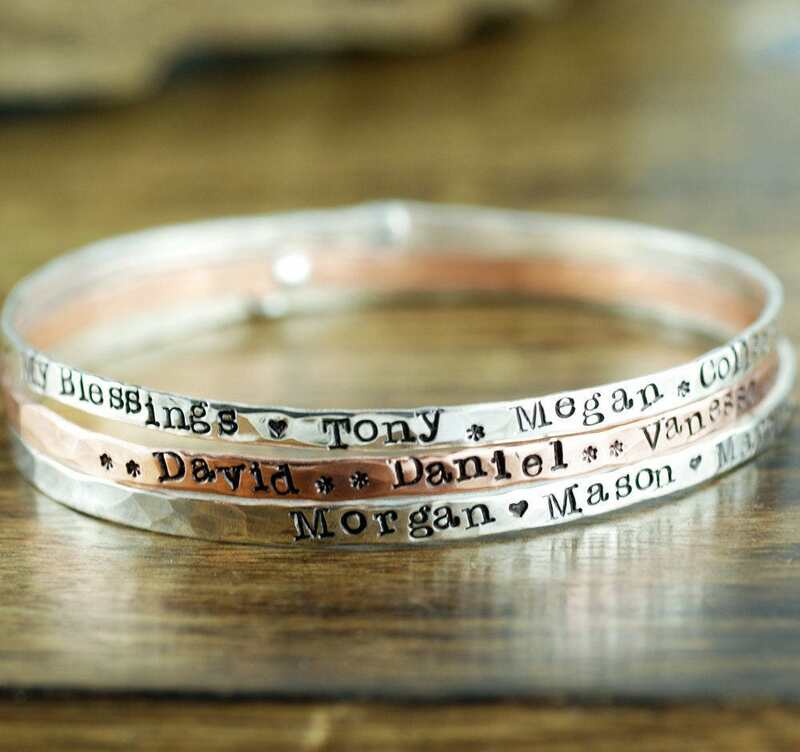 Customize our riveted bangle bracelets with your favorite word/s, meaningful phrase, special saying, names of loved ones, grandchildren, dates and even coordinates for the place you met your partner or shared a special moment with someone. 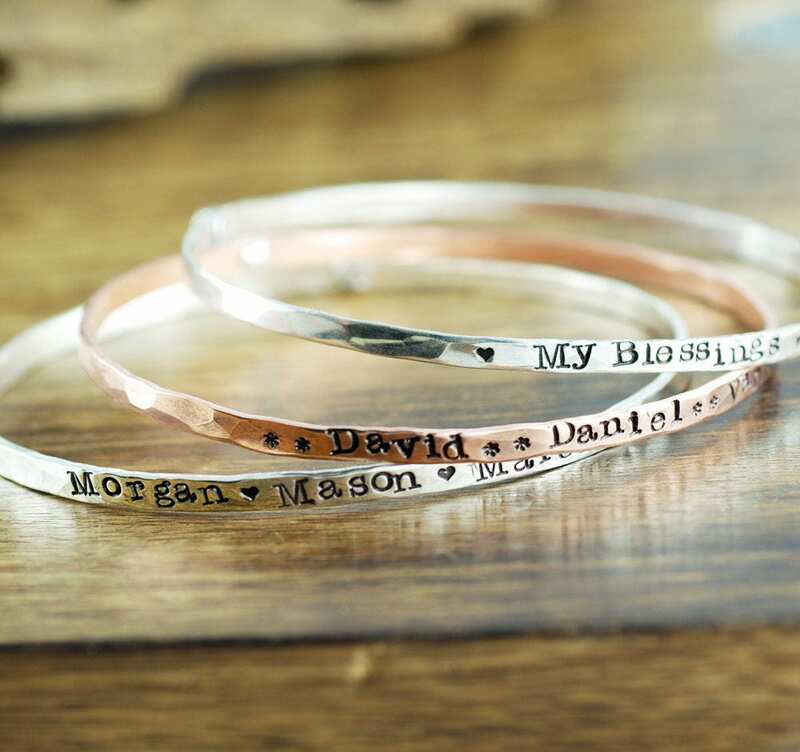 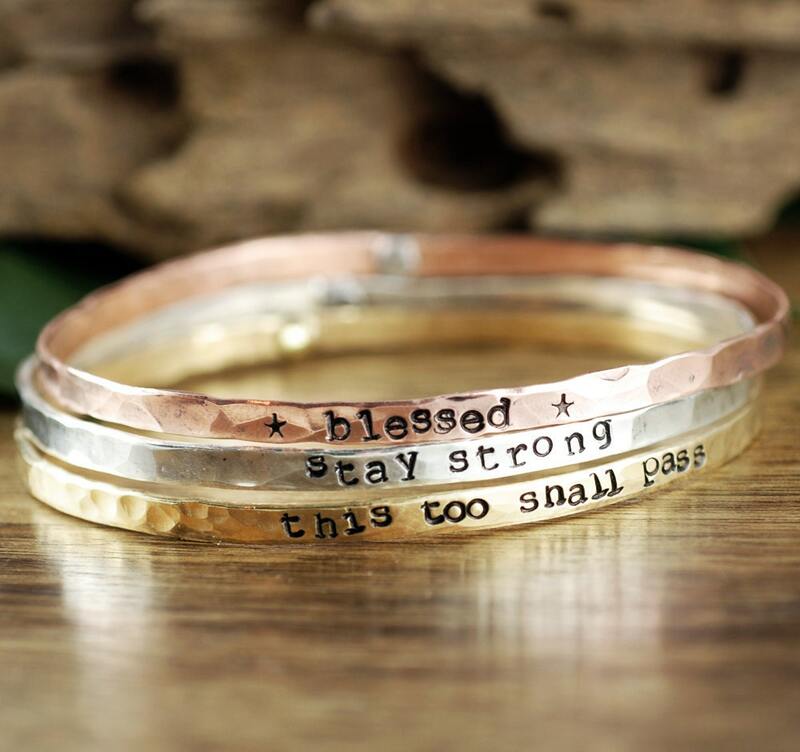 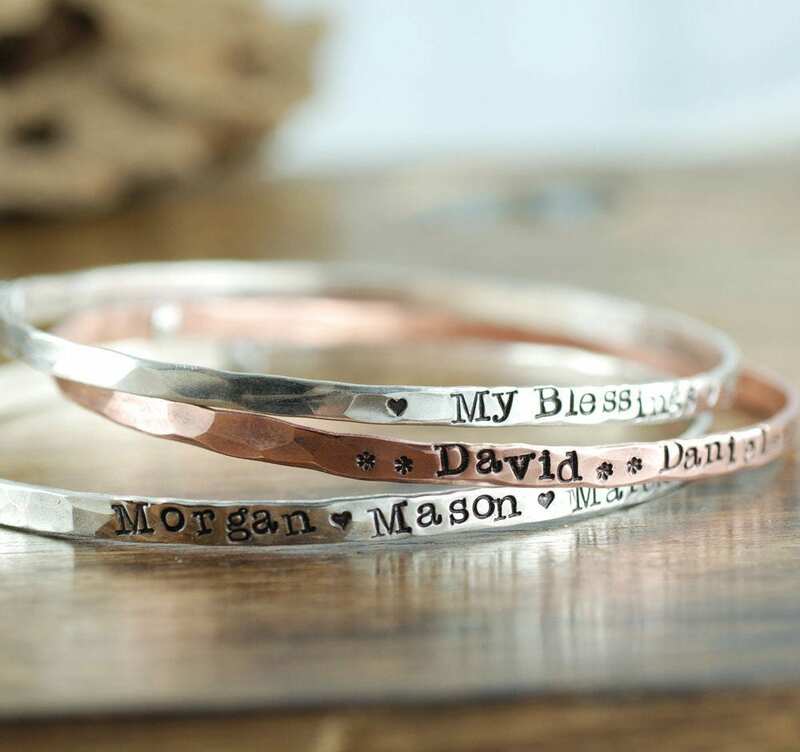 We customize each bangle with your favorite quote, phrase or children's names. 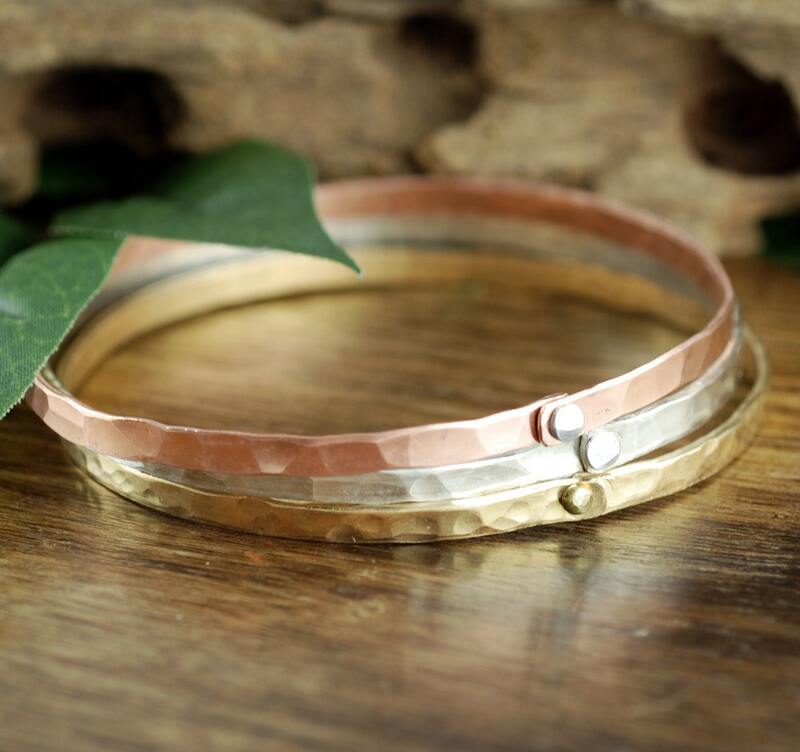 We then mold and rivet the metal to form a bangle to fit you perfectly.